As iOS becomes more powerful, and screens get larger and larger, many people are traveling with just an iPhone or iPad. That’s awesome. And that’s likely the future. But sometimes it’s nice to have a Mac that can run certain apps, complete specific tasks, or just be the repository for backups and data. Luckily, you don’t need to choose between one or the other. With the iPad Pro, and all of that screen space, it’s real simple to keep one app in Split View and also manage your Mac OS X installation on a hosted Mac mini. As you interact on the Mac, the screen will respond like it's sitting in front of you.. When you’re done, just close the app and you’re back into iOS full time. 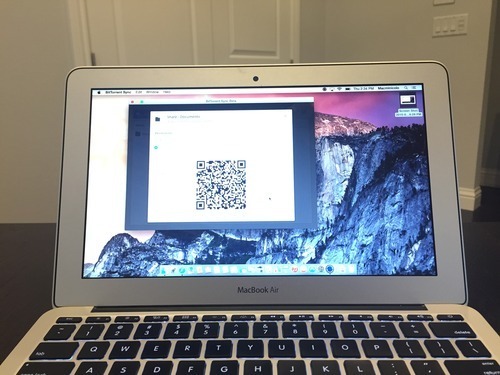 Screens is a great app that makes it easy to control your Mac from anywhere in the world. (Also works on Windows computers if you dabble on that side.) Here is a short video with romantic music to show how iOS and OS X can coexist with each other. Work with OS X on an iPad or iPhone from Brian Stucki on Vimeo. You can also use nice automation apps like IFTTT or Hazel where you can trigger something on iOS and have your Mac respond. 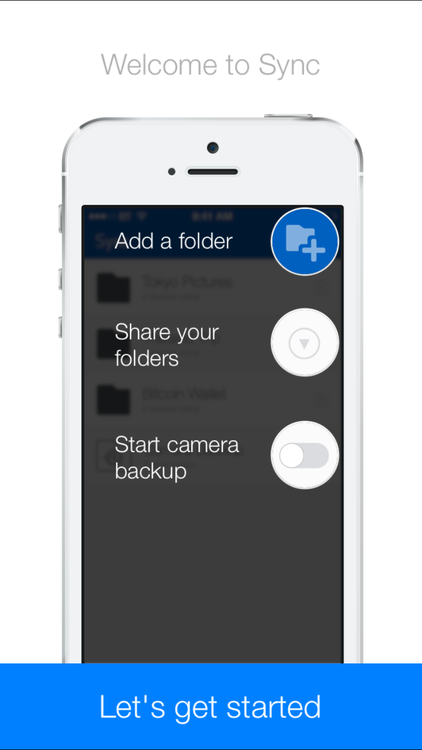 For instance, use iOS to put a large video in dropbox. 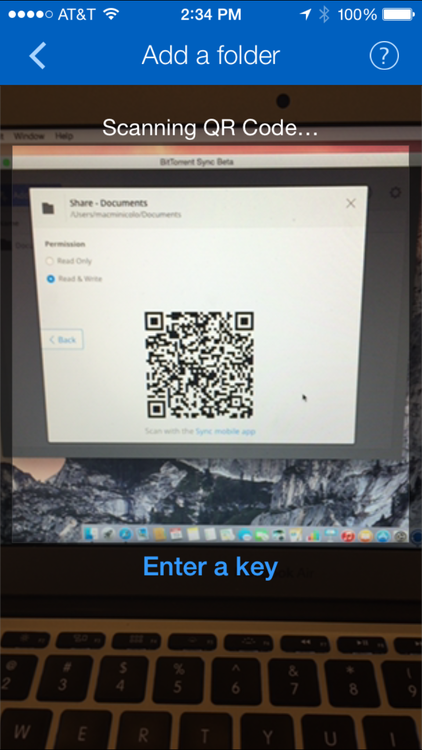 The Mac can be watching that folder, receive the video, then move it out of your dropbox folder to save your space. At that point, the video is off your iOS device and on your Mac in a secure data center. 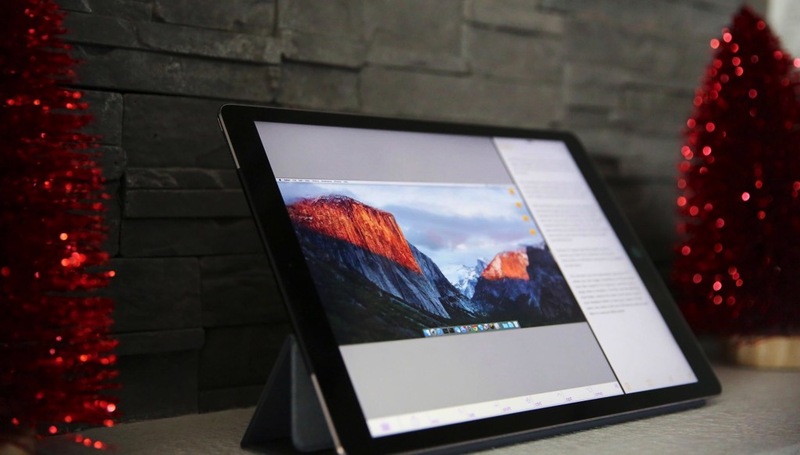 If you’re using iOS and a remote OS X machine in a creative way, we’d love to hear about it. 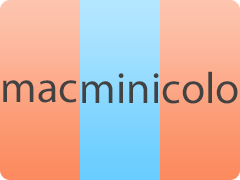 Tweet us @macminicolo. Can the Mac mini upgrade to 32GB of RAM? No. The answer is no. But it might be possible later. Fast forward to earlier this year as main-stream companies now offer 16GB modules that are the correct size and speed for the Mac mini. So, do they work? As best we can tell, it is simply software holding it back at this point. In other words, if Apple can find it in their heart to update the MRC (Memory Reference Code) in the firmware of the Mac mini then we could all feed our RAM addiction. Now that the modules are available, it would sure be nice to have that option. 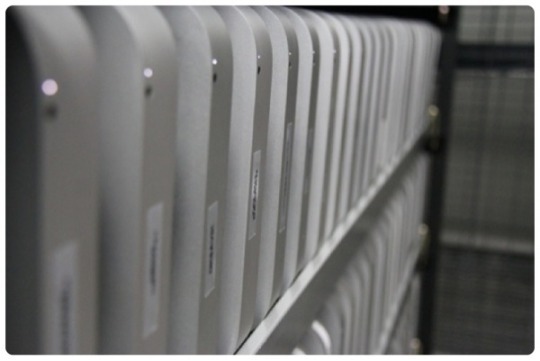 If it does happen, the value of used Mac minis will remain high. (Anyone with more info, please feel free to contact us.) In the mean time, here are all the available Mac mini upgrades. I know it’s not likely, but it’s not the first time this would happen. Back in 2009, we wrote about "The State of the Mac mini" and we were the first ones to confirm that a RAM increase had happened. With a firmware upgrade, the Mac minis at that time would go from supporting 4GB to 8GB. A popular use for Mac minis in our data center is operating it as a backup server. Backing up to your own server means you’ll control your own data while still knowing it is in a very secure location. You can control the number of versions, how it is accessed, how it is restored, and what happens to the data when you’re done. A common example are photographers who have large amounts of data, and would like to have a quick restore if necessary. In a case like that, they usually just attach a 4TB external drive to their Mac mini. If it’s needed in a rush then we can detach it and ship it to them overnight. Why not use a third-party cloud service? There are number of great services out there to backup your machine. They are a great fit for most people and probably the best route for many to take. It’s easy to get them setup to run and then you can just forget about it. However, some people prefer more control. Or perhaps they need to better coordinate backing up external drives. They might be in a field that has strict laws on how data can be stored and who can have access to it. If you have a Mac mini here already, you know that they are very good at multi-tasking. (Here is a great example of that.) 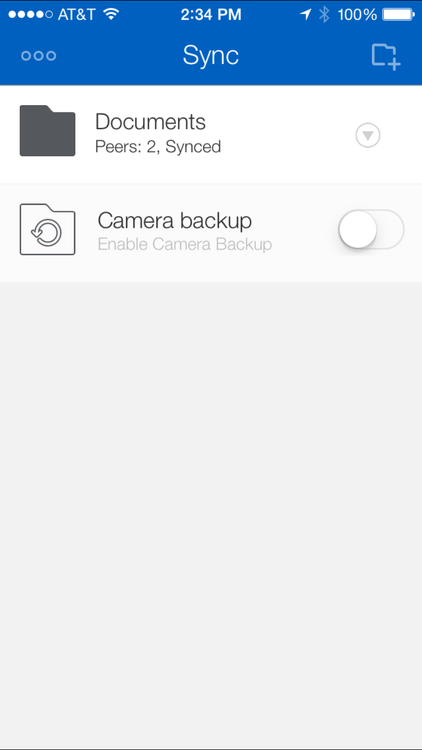 In addition to all of your other uses of the mini, may as well have it backing up your most important data as well. Arq Backup is a great tool to backup your data to all sorts of places. 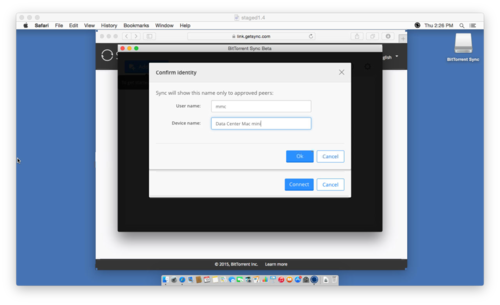 In addition to Amazon, Google and Microsoft cloud options, you can also backup to an SFTP server of your own. This is super simple on a Mac mini. You just need to enable "Remote Login" in System Preferences and fill in the information. If you'd like to give Arq a try, you can download a demo from their site. 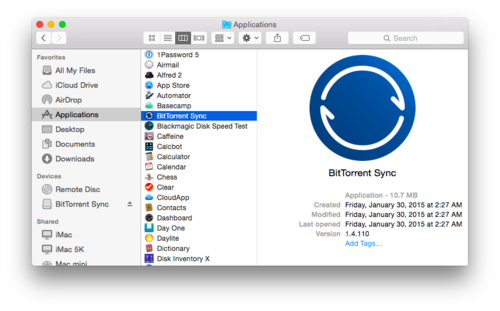 BitTorrent Sync is another great option to avoid third-party clouds all together. 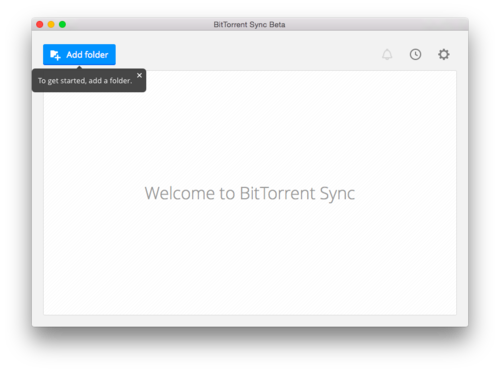 At first, the release of BitTorrent Sync 2.0 was not well received. But in the last few months, they have made some great updates and given the free version some really nice upgrades. The free version is powerful and would be enough for most people. You can also upgrade to Pro if you'd like Selective Sync and other powerful options. They also have nice mobile apps available. See all the platform options here. Hazel is one of the most popular apps used by our customers. You can create Hazel rules and the app will watch for certain actionable items and then run the rules. In addition to many other uses, it's a powerful tool for backing up. For instance, perhaps you want to back up a large file but you don't want it sitting in your dropbox folder and using your space. You might have Hazel watch a specific Dropbox folder. When you put the file in there, it can wait until it syncs and then automatically move it to a non-Dropbox folder on your remote Mac mini server. Setup Mail.app to download and keep local copies of all your email. iTunes Match can help you keep high quality copies of all your music files so your iOS/laptops can stick with the streaming options and not fill up the space. Once you have all your files syncing to your Mac, use SuperDuper to clone the whole machine to an external drive on a schedule. That way, if you ever need a quick restore, we can just pull the drive and send it to you. It also gives you a bootable backup should you need it. Do you use your Mac mini to back up data in a way that's not listed here? Please let us know on twitter @macminicolo. 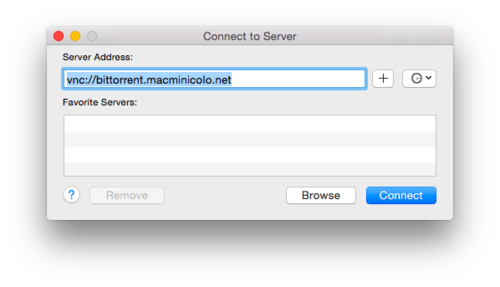 Interested in getting a server of your own with Macminicolo? We'd love to have you. Take a look at our pricing and signup page here. We have a lot of customers who use their Mac mini as a VPN server. This works great when you need an IP address in the US, or a secure internet connection on the road, or a number of other reasons. When Apple released Lion, they changed the setup a bit. This continued in Mountain Lion and Mavericks, Yosemite, and remains the case in El Capitan. By default, El Capitan Server VPN will distribute IP addresses in the same range the Mac itself uses. This doesn’t work well in a facility like Macminicolo where each Mac mini has a static WAN IP address. If you are simply looking to enable VPN service on your OS X Server for secure connection(s) between your server and client(s), you can skip PART II. That’s right: you can jump straight from PART I to PART III. The procedures discussed in PART II are intended for those who are looking to route internet traffic from their VPN clients over the VPN and out to the internet via their server’s public internet connection at Macminicolo. Also, it should be mentioned that server administration (particularly at the command line level) can be tricky. If you do proceed beyond this point, which shall be exclusively at your own risk, then please proceed carefully, and as always, don’t ever proceed without a backup of your server and other irreplaceable data. Still here? Okay, let’s get started. Please, please get a backup. For the most part, upgrades have been pretty smooth in our testing. However, each setup is different and there is always a chance of a corrupt upgrade that could break your setup. We have options to add an external drive if you would like to take that route. At a minimum, get a disk image of your boot drive and store it locally or on a remote service like Dropbox. The upgrade can be done remotely. You just need to open the App Store, download the update, and let it run. If you keep your screen sharing window open, it’ll come back and you can watch part of the upgrades. Regardless, plan for your mini to be offline for about an hour. If it runs longer than an hour, just put in a ticket on the support site and we can help you troubleshoot. If you want to use this chance to get a clean install of OS X, we’re happy to help you do that. (It needs to be done locally since a clean install would have no networking information.) Just let us know with a ticket. If you’d like to have both a clean install of OS X, and also get a faster Mac mini, be sure to check our page of used Mac minis. We have some powerful, quad-core options available right now. We can run the new and old minis simultaneously for a while so you have time to get data moved over. 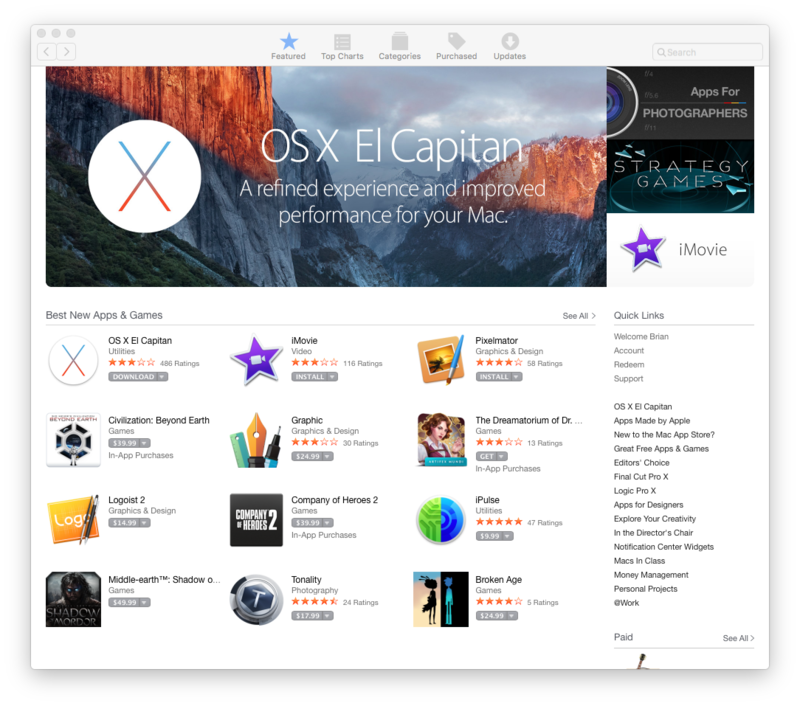 We’ve been testing El Capitan and sent tweets on some of our findings. One especially great upgrade in 10.11.1 is drastically improved screen sharing. Look forward to that. Enjoy the new version of OS X. As usual, we’re here to help if needed. It's been interesting to watch as Apple, and Tim Cook specifically, begins to peck away at Google and the way it makes money. 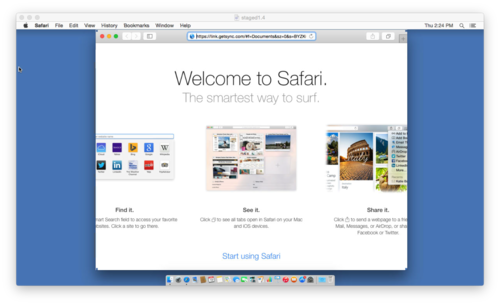 When iOS 9 is released, it will have a system-wide way to disable ads on the web. The early looks at this tech is pretty jarring the way it simplifies the web. Some people have said this is bad for bloggers. That may be true, but bloggers are a resourceful bunch and they have proven their ability to adapt. Plus, in general, they respect their readers and want them to have a good experience while also earning an income themselves. They'll be fine. In reality, I wonder for Google more. The overwhelming majority of their profit comes from ads on websites and searches. As mobile viewers become more dominate, and iOS has a high percentage of all mobile viewers, that will be a big hit for Google. Imagine if Apple takes away 50% of the ad revenue from Google. Thermonuclear indeed. "Our business model is very straightforward: We sell great products. We don't build a profile based on your email content or web browsing habits to sell to advertisers. We don't "monetize" the information you store on your iPhone or in iCloud. And we don't read your email or your messages to get information to market to you. Our software and services are designed to make our devices better. Plain and simple." In that same vein, we've seen more and more people and small businesses come to us looking for ways to own their own data and servers. 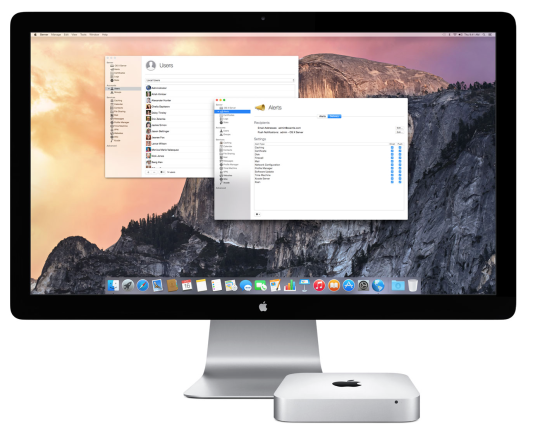 With a Mac mini server, it's more simple than you think. Obviously, we sell the service and benefits of hosting the mac mini in a data center, but I hope this will be useful for anyone looking for some more control over their data. Below is a list of apps that you can run on your own machine, usually free or low in cost. Most are fairly simple to set up, though we can also get you the help you need. And best of all, they run on your hardware with your privacy controls. OS X Server is the most obvious place to start though I think it's often overlooked. 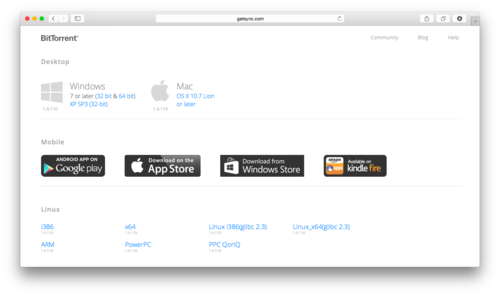 It is available on the Mac App Store for just $20. (And if you're a developer for Apple, you're entitled to a free copy.) What can you do with Server? Mail is simple to setup and run. You have options to limit mailbox sizes, filter junk mail and run virtual domains. Also, your email isn't scanned by a large company to put ads up against it or put surprises in your search results. The mail service also offers push notifications, which Gmail dropped a couple years ago. And if you're running a business, you can setup unlimited users on the machine as there is no per-person cost. The Calendar Server in OS X Server will let you share calendars, schedule meetings even book conference rooms or other shared resources for a company. You can also send invitations by email. And of course, push notifications can be enabled. The Contacts Server is equally as powerful. You can sync and share contacts for the company and each person. 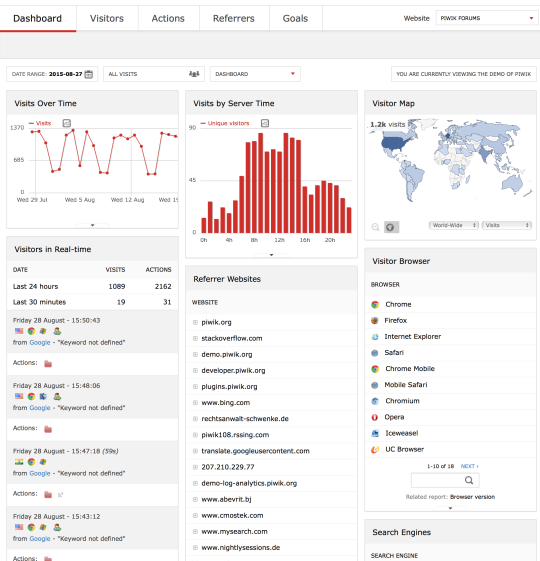 Piwik is a great alternative to Google Analytics. When you install the free and open-source software on your machine you have complete data ownership. But more than that, it really protects the privacy of your readers and customers and supports "do not track." Google Analytics is so simple and quick to get started (Confessions: we use it right now too but plan to change soon) but the data collected on individuals must be enormous. 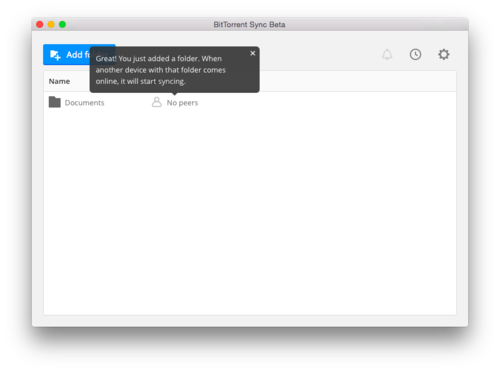 BitTorrent Sync is a powerful alternative to Google Drive. 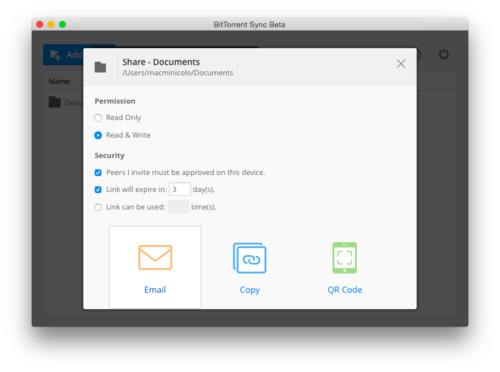 With Sync, the data and files that you share never reside on hardware that you don't own. The encryption and speed are really amazing too, usually faster than services like Google Drive and Dropbox. It's so simple (and even fun) to setup. We'll add to this list as we find other great options. The options listed above should be sufficient to get most small businesses onto servers that they own and control. And, most likely it will even save you and your business some money. 1) Visit our signup page. There you can choose which options you’d like for your account. You can also purchase the the Mac mini if you prefer that route. After the form is submitted, you will receive your network information and the shipping address in an email. 2) You can then build your Mac mini at home just how you’d like it to run. You can preload data, setup your users, etc. Before sending the machine in you’ll want to be sure you enter your new IP address and enable Screen Sharing so you can reach the Mac mini when it’s here. Once done, just send it to the Macminicolo data center. 3) We’ll watch for the machine to arrive, get it installed and let you know it’s ready with an email. As long as you can reach it, we won’t even need to log into your server. You are then able to control the machine however you’ve set it up. When you connect with Screen Sharing, the machine will have all the benefits of being in a data center but still respond like it’s sitting in front of you. That’s pretty much it. And if you buy the Mac mini through us, then it’s even easier. We usually have some used Mac minis available as well. It’ll take about one business day for us to get the machine, set it up in our data center, and then hand over control to you. You can then change any passwords/users that you want to change. When you host a Mac mini in our data center, you're welcome to install anything you'd like to run on your server. 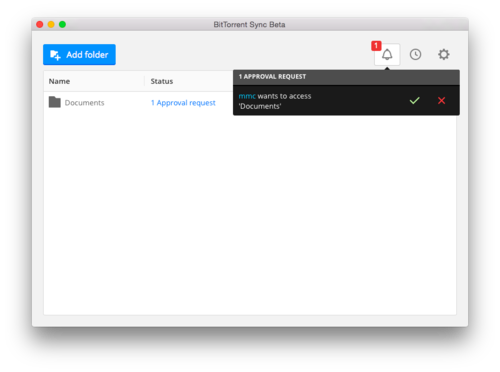 Recently, BitTorrent Sync has become a very popular application on servers here. People love Dropbox (for good reason) but there is a real benefit to having your data, on a server you own, hosted safely in a very secure data center. 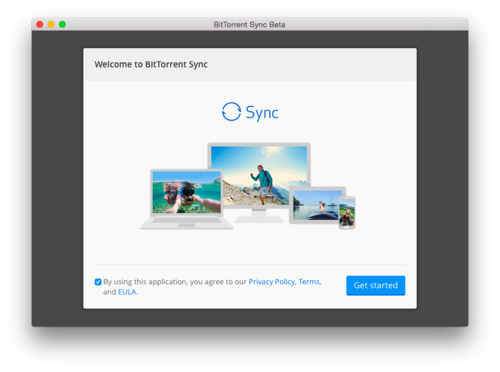 On the BitTorrent Sync site you can read about how it works, how people are using it, and all the technology that keeps it secure. 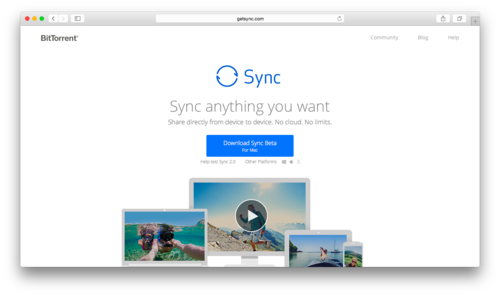 In short, Sync "uses advanced peer-to-peer technology to share files between devices....This means there are no accounts, no file size limits, and transfer speeds are never throttled...Data is transferred directly from device to device." It's a great tool for personal data, company data, and just about everything else. 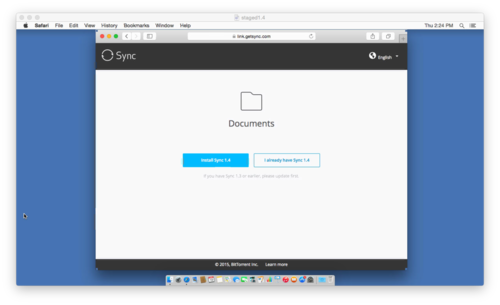 Start by getting Sync installed on the Mac in front of you. Visit GetSync.com and your download option will default to the OS you're running on. 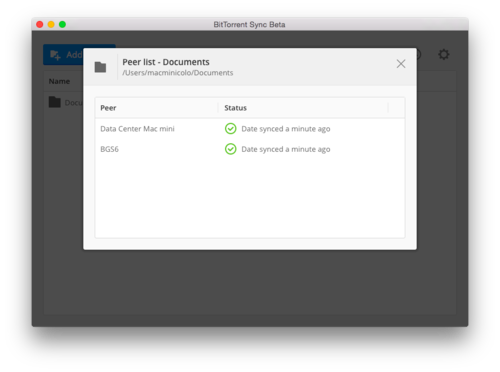 You can also choose what your user and machine name will be as it's listed as a "peer" on your shared folders. 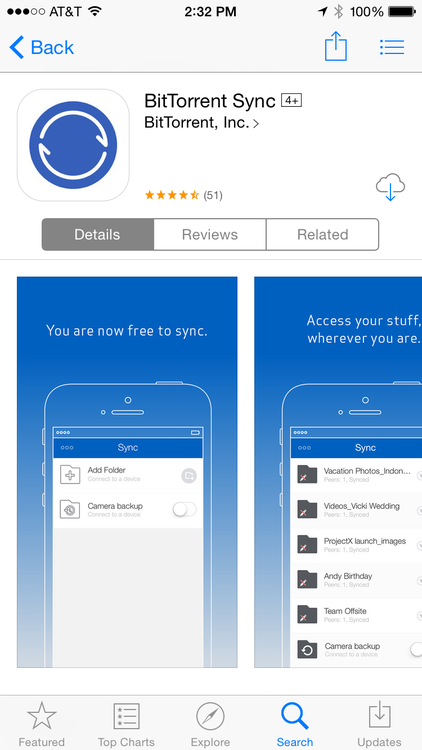 BitTorrent Sync is a great app, and only due to get better as they release version 2.0 soon. 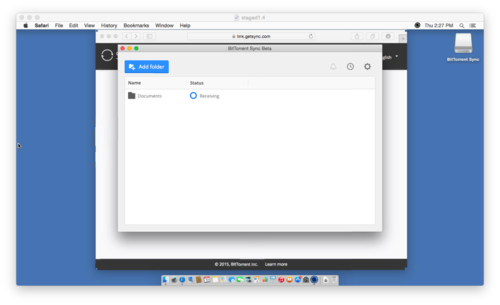 If you have any questions about Sync, and the installation of it to your Mac mini server, feel free to send a question to us @macminicolo. I've thought a lot about the company and what has made it last over the years. I think it really boils down to three things. First, offer personal service. Send us an email and get one back quickly that is personal and informed. Reach us on iMessage or AIM/iChat. I just want to be available on the tools you already use every day. Second, prices that are fair for the customer and the company. It's important to find the right place where a customer feels like they are getting the value for which they pay. It also needs to be a price that can keep a company sustained for ten years. I've seen a lot of other companies come along to host Mac minis. Usually, they try to undercut us and eventually they go out of business or they spread to other services, pulling focus from their Mac mini customers. Just be fair and offer value. Finally, work with great hardware. The Mac mini doesn't get enough credit for being so reliable. People can be hesitant of the spinning disk or the single ethernet port. 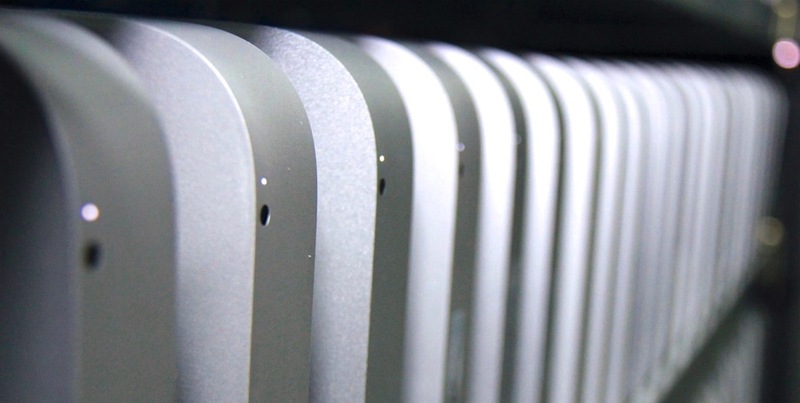 Over the years, the Mac mini has proved incredibly good as a server. The hardware last years when they are rarely moved and always stored in a controlled environment like a data center. Thank you to all of the great customers we've been working with over the years. We still have some customers from those very first months of business. Thanks for supporting the company and for spreading the word.